When the Nevada Interscholastic Activities Association changed the high school sports landscape with the creation of conference realignment two years, they did so with the intent of creating an equal playing field. By doing so, it was the NIAA’s intent to drop the lower tier Division I programs who regularly don’t succeed into the Division I-A, with hopes that their programs could prosper within the new league and build a solid foundation in the coming years to return to the Division I ranks. While this strategy has worked for Faith Lutheran, Sierra Vista and Spring Valley the past two season, who will all be Division I programs again next fall, one things the NIAA might not have thought about was the impact created by sending those lower tier Division I programs into the same classification as schools with nearly a third of the population. 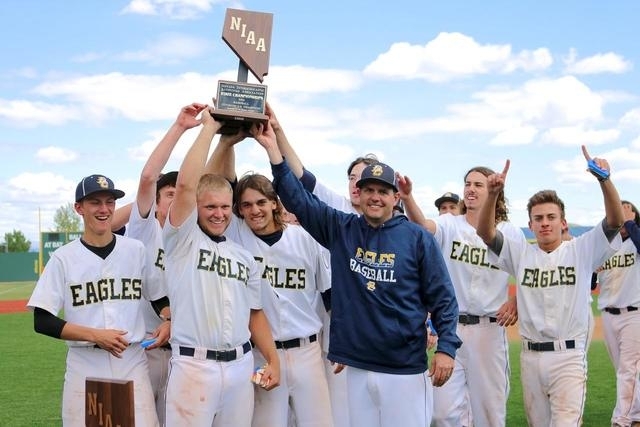 Luckily for Reese and the rest of the smaller tier programs, they won’t have to worry about playing larger enrollment opponents next season, with the NIAA reclassifying the league powers in several sports back into the Division I ranks starting next fall. Not only should the Eagles benefit by playing programs closer to their population, but they should also benefit in the win column of several of their key programs with the division’s bigger schools out of the picture. With Spring Valley gone, state championships in girls basketball and softball become more likely next season, with the reigning champs leaving the classification. Football, boys basketball and baseball opens up further for a more competitive league with all three newly placed Division I opponents out of the picture.